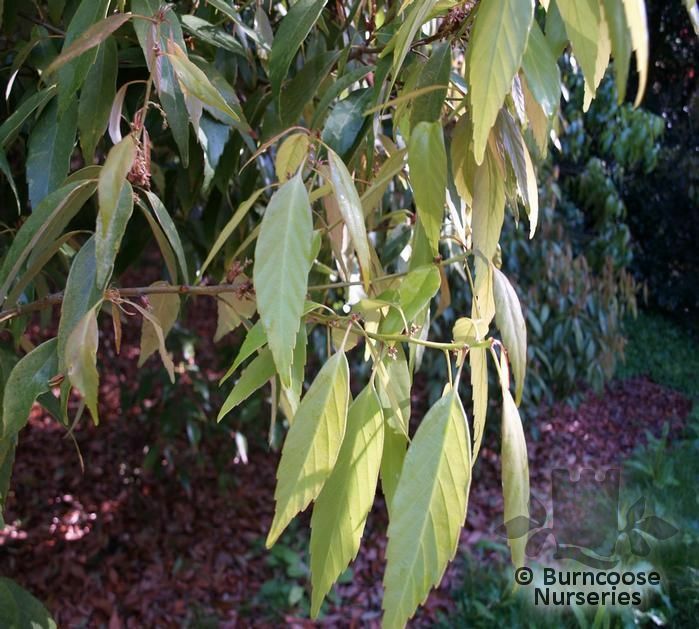 Genus of about 530 species of deciduous, semi-evergreen or evergreen trees and shrubs in the beech family widely distributed in woodland and scrub in the northern hemisphere extending to tropical latitudes. Because of land use changes and climate change many species are under acute threat. In the highlands of Mexico, Central America and the northern Andes forests have been cleared to make coffee plantations and cattle ranching. Pine forests are invading oak in the Indian Himalayas because of temperature rise. 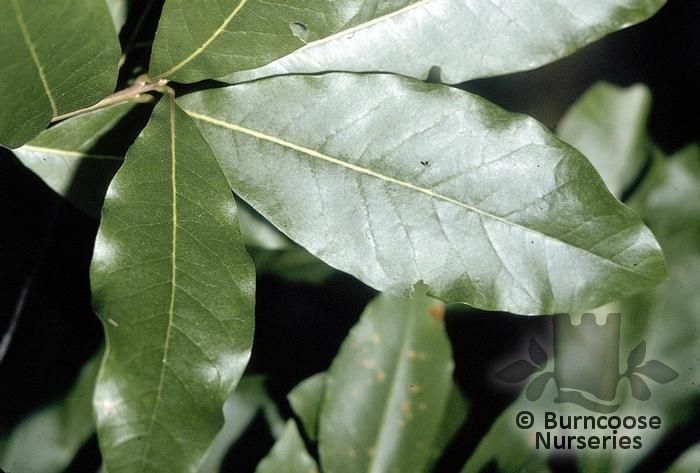 In the UK, Phytopthora ramorum (so-called sudden oak death), a bacterium thought to cause acute oak decline and the oak processionary moth, which causes defoliation, are all modern threats. 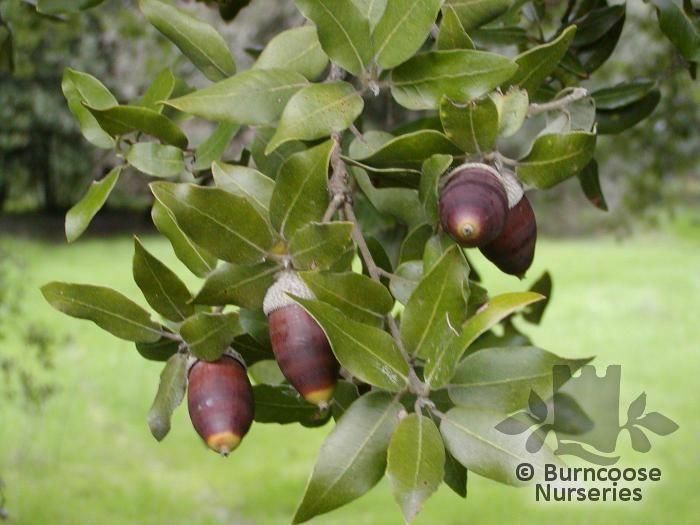 Represented in the UK by 2 natives, Sessile or Durmast (Q. petraea), stalked leaves and unstalked acorns and English or Pedunculate (Q. robur) with very short stalks on leaves and long stalks on acorns. 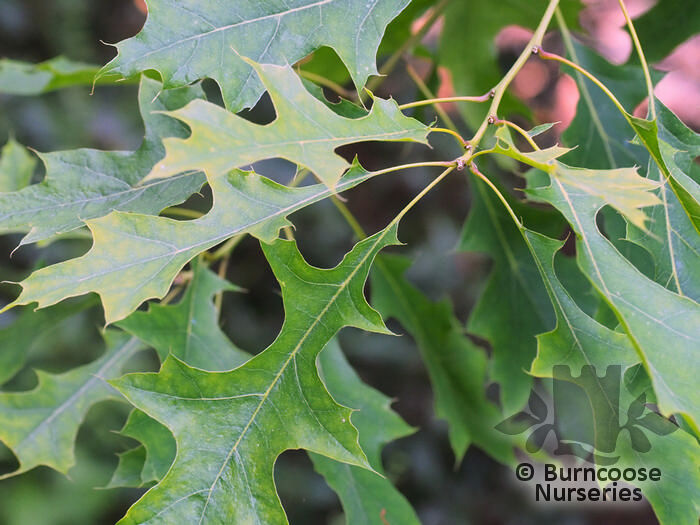 Two other oaks commonly seen are the holm oak (Q. ilex), evergreen, and the Turkey oak (Q. cerris) which was introduced, mistakenly, as a source of good timber. 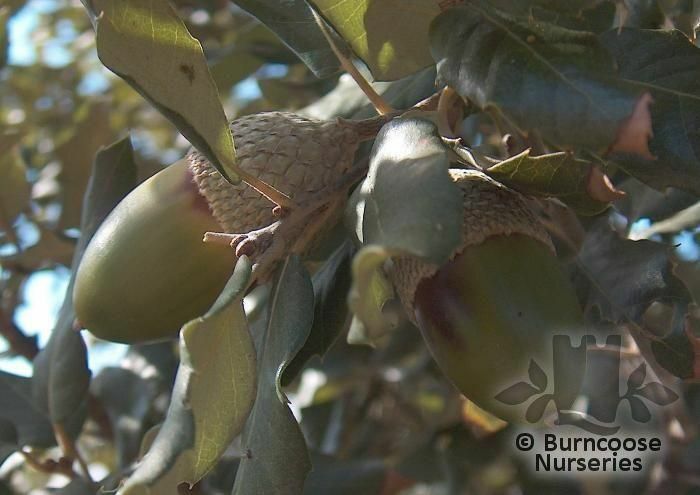 Pests & Diseases - aphids, gall wasps, oak wilt, honey fungus, powdery mildew, bracket fungi. 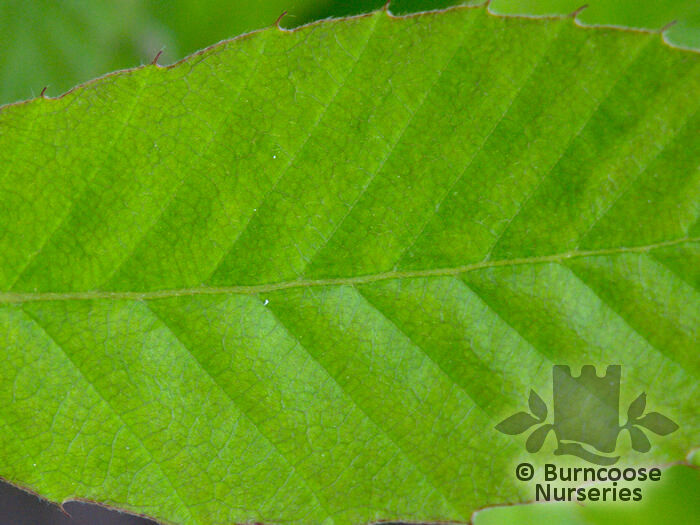 Commonly known as: Japanese chestnut oak, Sawtooth oak. 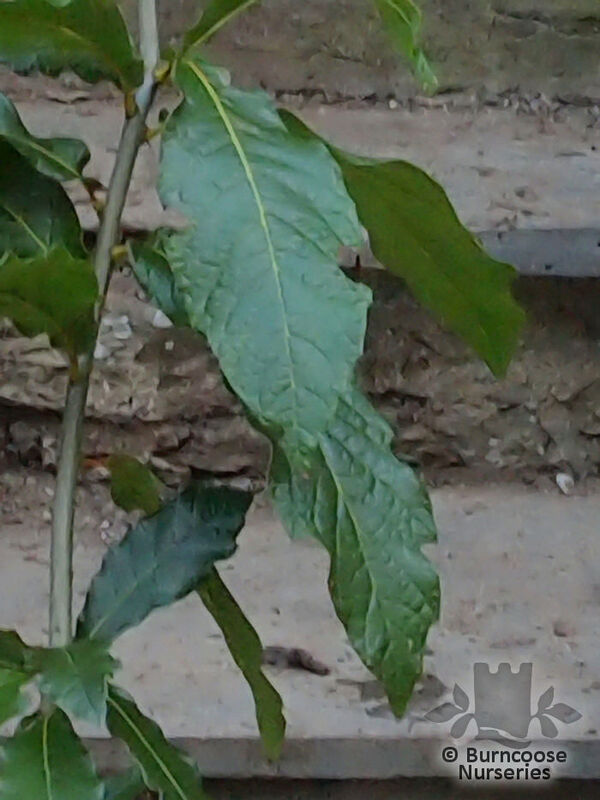 Commonly known as: Texas red oak. 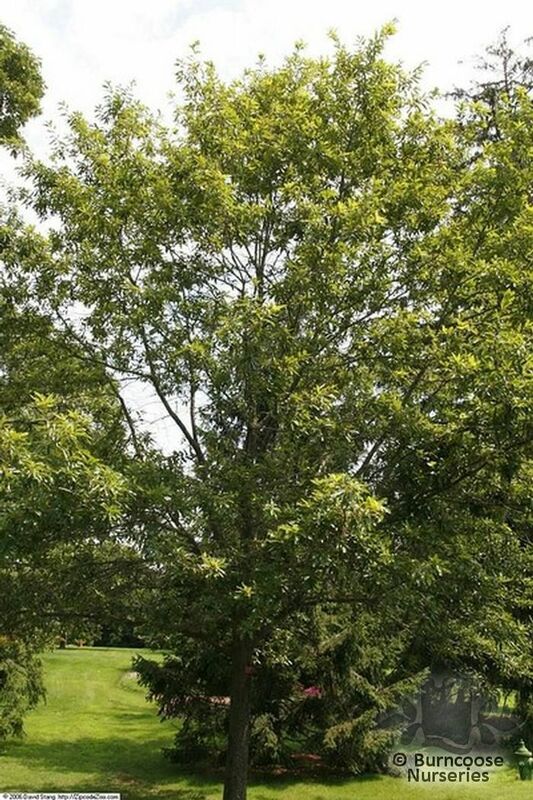 Commonly known as: Bitter oak, Turkey oak. 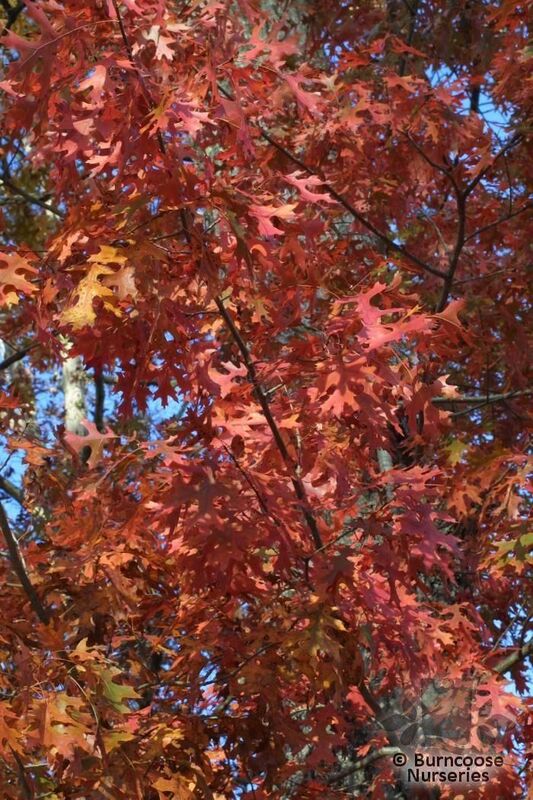 Commonly known as: Scarlet oak. Commonly known as: Daimio oak. 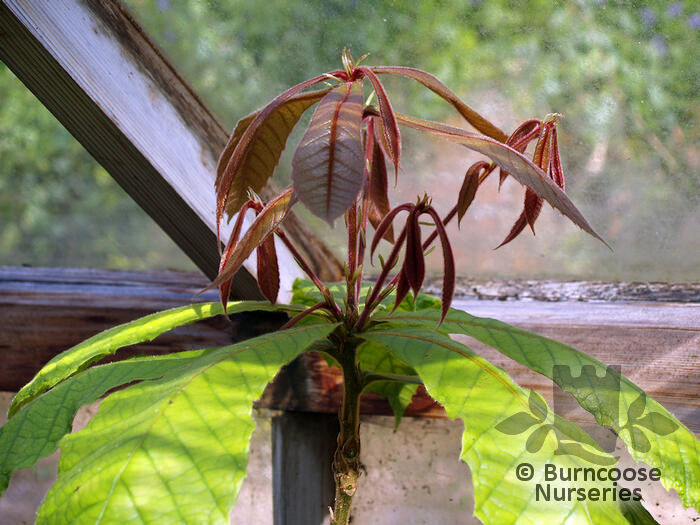 Stout shoots and very broad, large, ovate leaves. Rare and fairly slow growing. 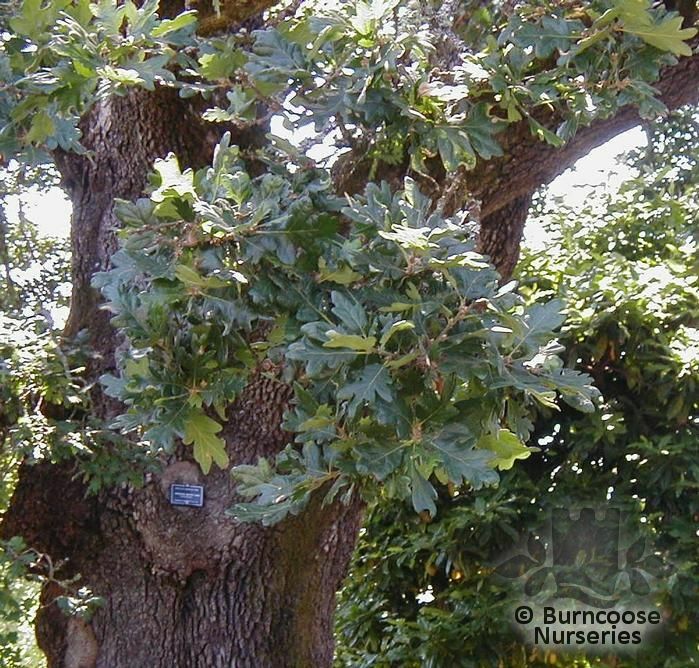 Commonly known as: Oregon oak. 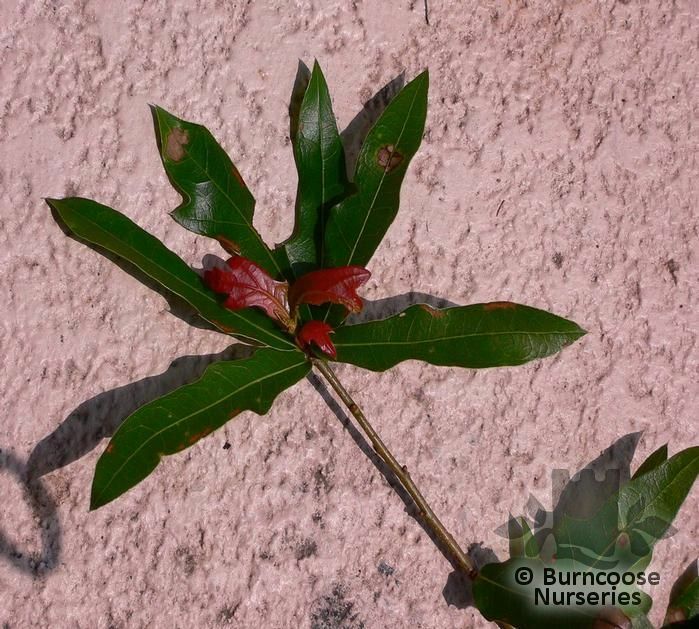 Commonly known as: Evergreen oak, Holm oak. 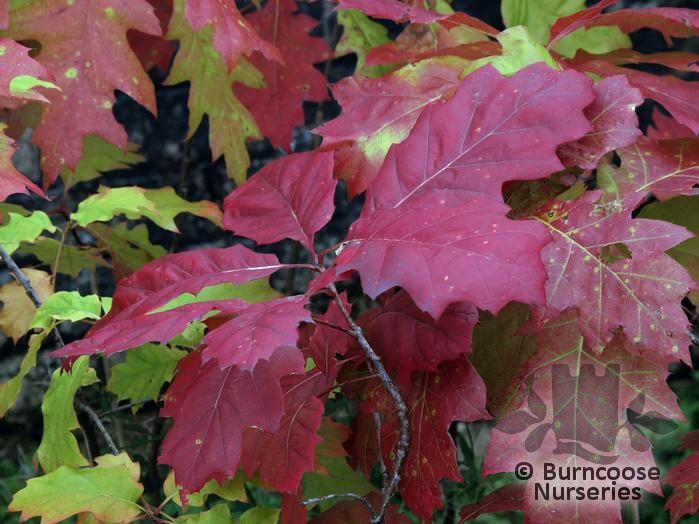 Commonly known as: Shingle oak. 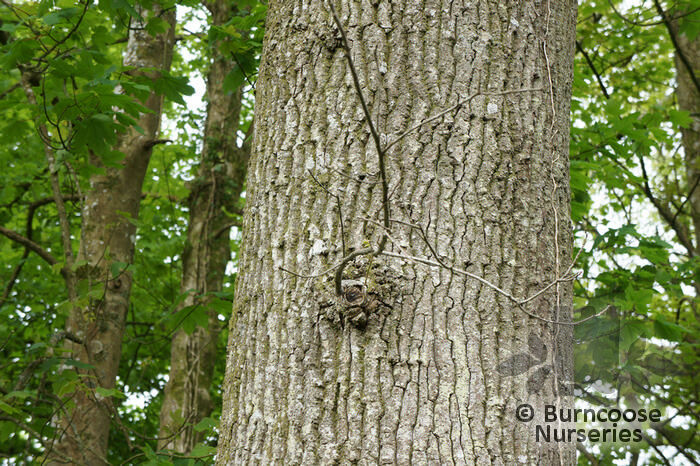 Commonly known as: Liaotung oak. 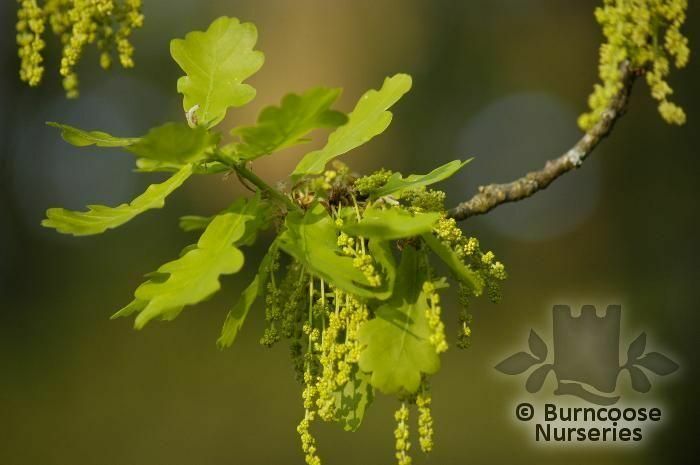 Commonly known as: Common oak, English oak, Pedunculate oak. Commonly known as: Red oak. 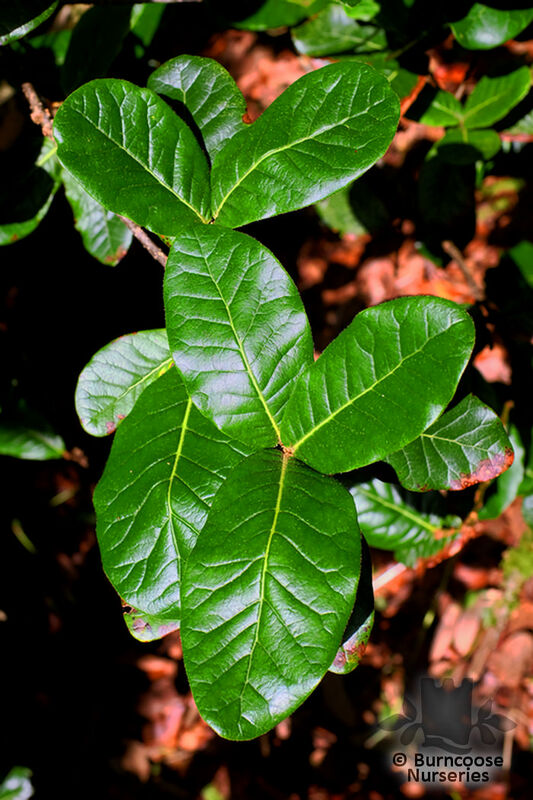 Commonly known as: Loquat-leaf oak. Commonly known as: Cork oak. 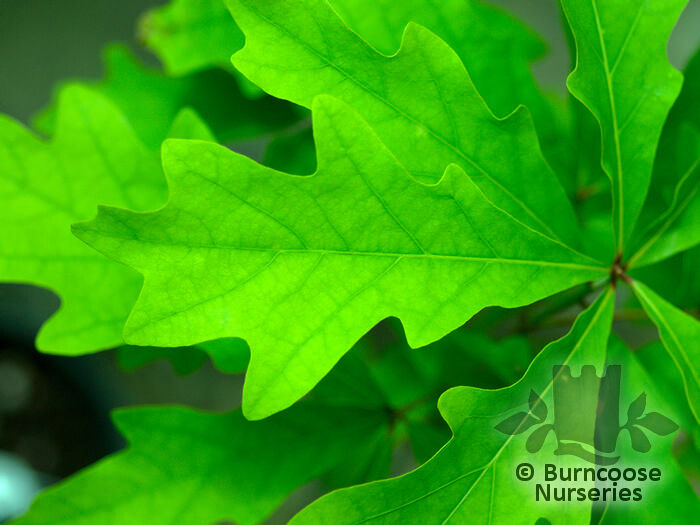 Commonly known as: Black oak, Quercitron oak. 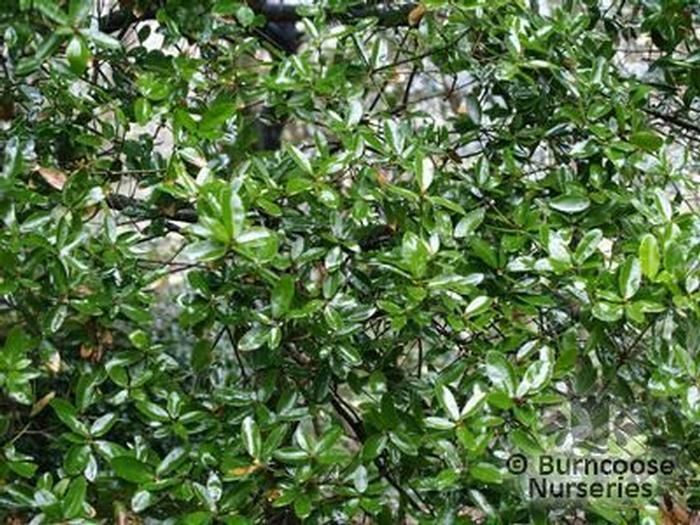 Commonly known as: Southern live oak.